Since I didn’t have sewing class today I finally decided to unpack after visiting my family in Toronto for the holidays. Whenever I’m in the Great White North I make sure that I let my mom fatten me up with Nigerian goodies, indulge in the French Canadian delicacy “Poutine” (french fries topped with cheese and gravy), and I raid the family closets. Mom’s closet, linen closet, bathroom closet; you name it. Hello my name is Nichole and I am a Closet Klepto (And the support group says “Hi Nichole”). I can’t help it. I’ve been doing it since my first summer home from college. First it started with towels. My mom had gotten new ones while I was away at school and they were way better than the ones she sent me to school with; so I upgraded. I didn’t ask, I just stashed those plush towels in my luggage and headed back to school. In the past few years it’s almost become a game. I go home and see what bounty my family had acquired since my last raid and I stock up. Over the year I’ve acquired everything from lotions to linens. This holiday season I hit the jackpot. In true Nigerian fashion, my mom loves to adorn herself in colorful African garb. My mom has everything from damask, to raw silk, to lace. Her armoire is filled with thousands of dollars of material custom-made into tradiational wear. 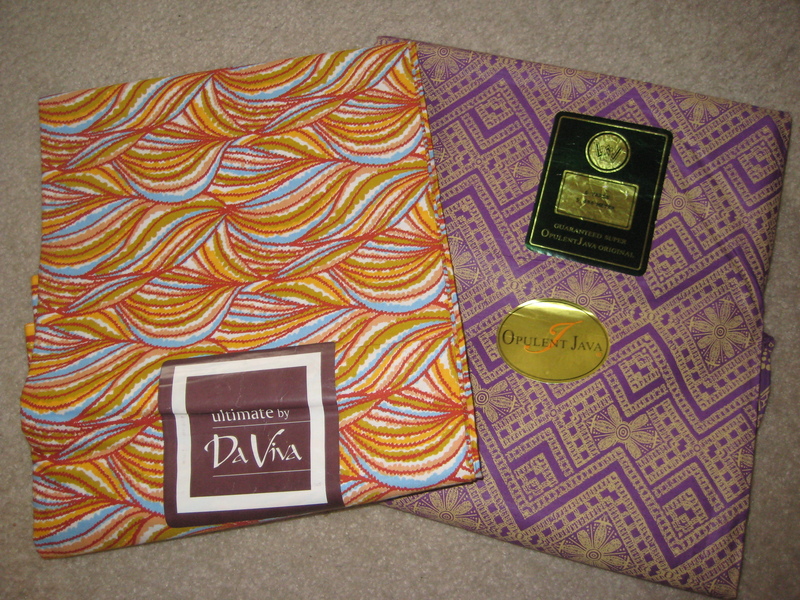 While I was in her closet snooping around i found two 6 yard bolts of Ankara fabric. J-A-C-K-P-O-T! Mommy dearest has been very supportive of my budding design career so I broke habit and asked her if I could have the fabric to work with. After she finished laughing hysterically; she said no. So…I took them. I’m not proud of myself but I had to! I just had to! 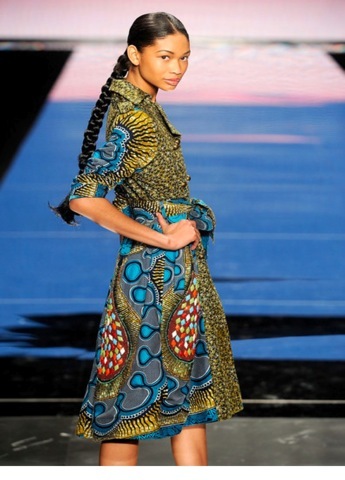 Ankara is a fabric worn casually by West African women, however many designers have brought the style to the runway. Originally called “Dutch Wax Cloth”, the material was produced in Holland and exported to West African. Eventually Turkish entrepreneurs started producing and exporting it for much cheaper and the fabric was nicknamed Ankara after the middle eastern nation’s capital city.